Audience. The first step to creating a successful content marketing campaign involves defining your audience. Who is it that you want your campaign to appeal to? Think about demographics like gender and age, as well as location and even industry. Targeting a specific audience is something you will do with the theme of your content, but it is also easier than ever with social media platforms’ built-in targeting tools. This step will ensure that every effort you make regarding your campaign is aimed toward the group that will be most responsive to it. 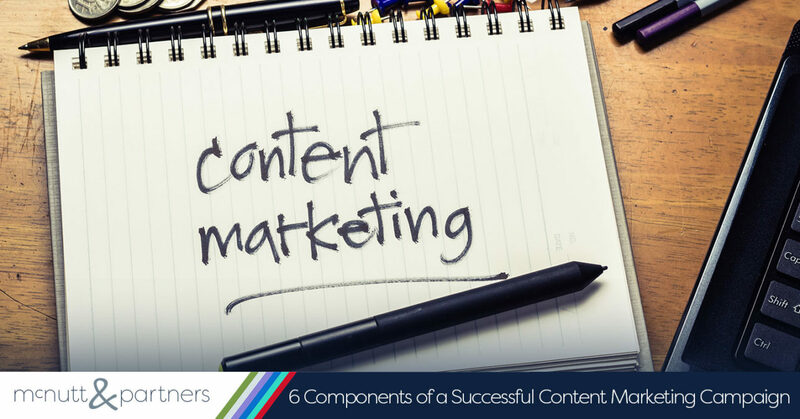 Content.Perhaps the most significant component of a successful content marketing campaign is right there in the phrase itself—the content. What will your campaign consist of? This is where you will decide on the basic elements of your campaign and what form your content will take. Will your campaign consist of social media ads or promoted posts? Email marketing? Blogs? All of the above? Once you have defined your audience, it is time to start creating the content that you intend to present to them. Theme. This is where your creativity comes in, and where you have the opportunity to make your campaign stand out from the others to effectively capture the attention of your audience. Your theme should be captivating, unique and appropriate for the message you are conveying. For example, if you are advertising a Mother’s Day special, you would want to make the visual branding of your content coincide with what comes to mind when you think of the holiday—femininity, caring, love, etc. Call to action. A key component to your content is the call to action. What are you trying to achieve with this campaign? If you want your audience members to visit your website, then invite them to do so. If you want them to take advantage of an offer, then invite them to do so. Or, if you want them to ask for more information—invite them to do so! Give them incentive to pursue your business. Your offer should be something that offers value to your target audience. It should be something that sounds exclusive, such as a free consultation, a webinar, case study, etc. Distribution. The type of content you have created will determine how it will be distributed to a degree; however, it is up to you to invest in the promotion of your content. There are a variety of ways you can push your content out to your audience, including social media sharing and paid promoting, sponsored blog posts, distributing to your email list, etc. You might consider using more than one method, as different members of your target audience may respond to different types of media. Follow-up. The follow-up not only involves following up with your clients and prospective clients, but also analyzing the response that you receive to help you with the efficacy of future campaigns. In regard to the former, the clients who have responded to your content are ones that you can now start building a relationship with. Continue to offer them valuable content in order to enhance the credibility of your brand in their eyes—and to keep them coming back. A content marketing campaign is your opportunity to present a fresh, engaging offer to your brand’s current and potential followers in an effort to direct their attention to your business. Making sure your campaign employs each of these six components will set you up to realize the positive results you are looking for. If you need help creating your next content marketing campaign, the McNutt & Partners team can help! Call us today at 334-521-1010, or visit our contact page.